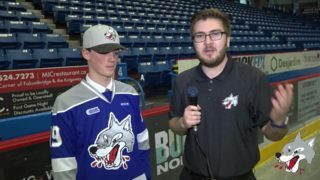 Fans had their first taste of OHL action back at the Sudbury Arena Friday night as the Sudbury Wolves welcomed the Ottawa 67’s to the Nickel City for pre-season action. Despite it being exhibition hockey, both teams battled hard in what was a chippy match between the two teams. 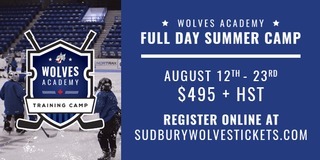 The 67’s were the ones who came out victorious in a 3-1 final, with Macauley Carson notching a goal for the Wolves. The teams swapped power play goals between the first and second period with the 67’s taking the lead first. Quinn Yule scored a power play marker from Mitchell Hoelscher and Carter Robertson. 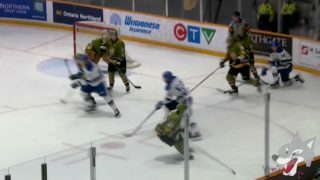 For the Wolves, veteran Macauley Carson finished a great play around the net to tie the game. The goal came off a pass from Blake Murray as he fed the puck out from behind the net, with the second assist credited to David Levin. Ukko-Pekka Luukkonen and Jake McGrath shared the game, with Luukkonen playing the first period before McGrath had his opportunity in net. McGrath made an outstanding save off a penalty shot to keep the game tied going into the third period. In the final frame, the 67’s solidified their win with two top-shelf goals off of quick releases from Carter Robertson and Merrick Rippon. 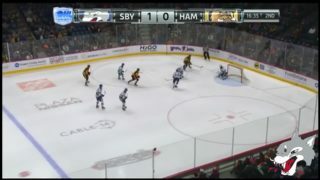 Robertson’s goal marked his second point of the game. 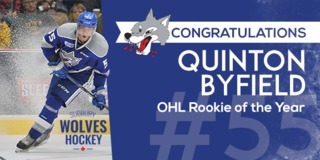 The Wolves out-shot the 67’s each period, ending the game with final shots on net 39-24 in favour of the home team. 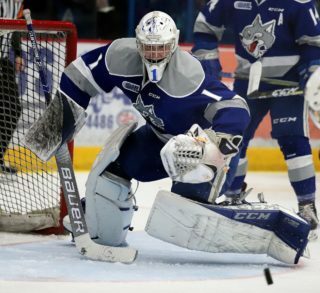 Exhibition action continues as the Wolves will travel to Owen Sound on Sunday to take on the Attack at 2:00pm. Fans can follow the action on Twitter.